After expanding over to North Peak, Sunday River continued its expansion by building a complex above it. 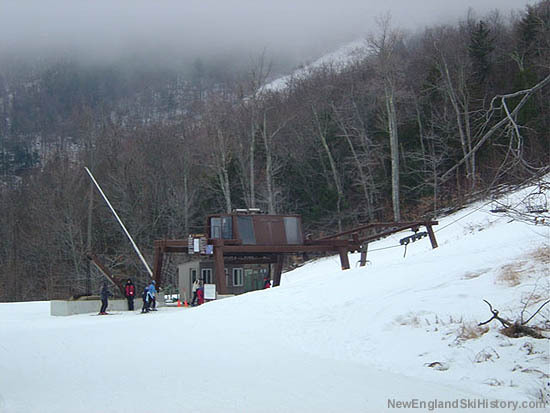 Part of a $3.5 million dollar expansion (including more snowmaking), Spruce Peak featured four new intermediate trails. 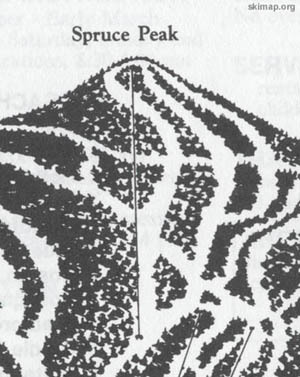 Serving the complex was a new 1986 Borvig triple chairlift, 4,382 feet long by 1,211 feet vertical. 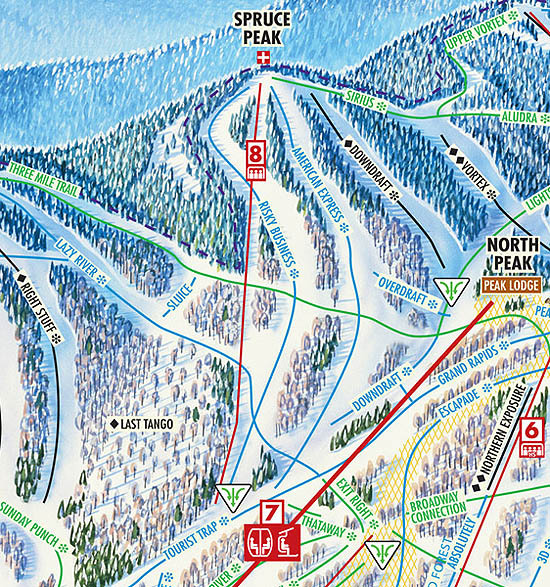 The Spruce Peak area would be the westernmost point at Sunday River for the next half decade, as subsequent expansions would focus on the eastern side of the area.